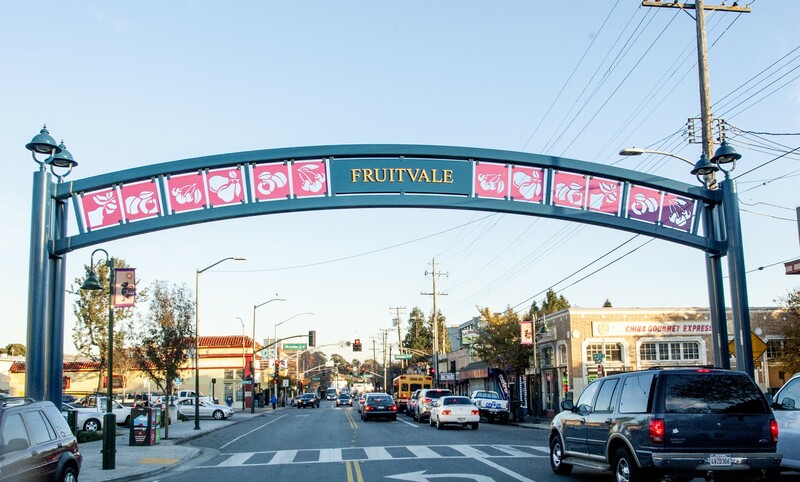 With its thriving businesses and large immigrant population, Fruitvale is uniquely Oakland: diverse, welcoming, family-oriented, community-minded — and too-often overlooked. 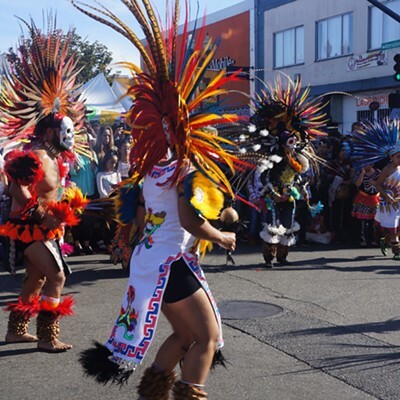 On a Saturday morning in November, an estimated 100,000 people flocked to Oakland's Fruitvale district along International Boulevard and a section of East 12th Street. The reason for this massive influx of people? The 23rd annual Día de los Muertos festival. This year, there was another reason for the organizers to celebrate. 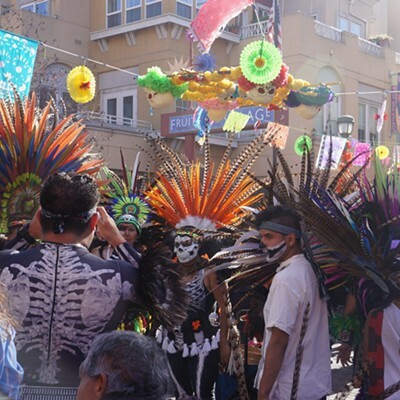 The festival, which honors the Day of the Dead with live music, food, and arts and crafts vendors, had moved back to its original larger location, occupying International from Fruitvale to 42nd avenues. 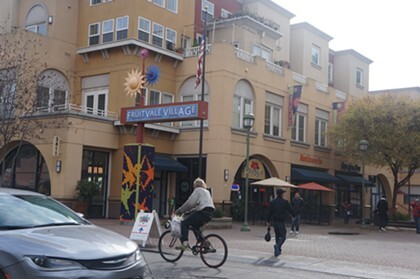 From 2010 until last year, the festival was held in a smaller area, within Fruitvale Village on East 12th Street between Fruitvale and 37th avenues. At this year's festival, there were over 350 volunteers, 209 vendors, and 26 altars put together by members of the community. 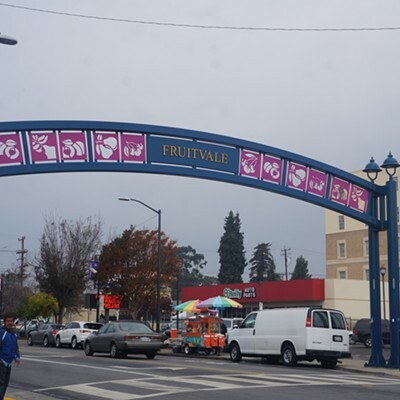 For Chris Iglesias, CEO of the nonprofit Unity Council, the large festival represents what Fruitvale is and has always been: a thriving community. Fruitvale "has been a long-standing community with deep roots," he noted. "It has built a strong identity that's tied to all different types of [immigrant] communities." As I strolled through the festival (I've attended it yearly since I was a kid), it was clear to me why it is so successful. A walk along International Boulevard feels as if you've traveled to your parents' country. Year-round, it's a home away from home. 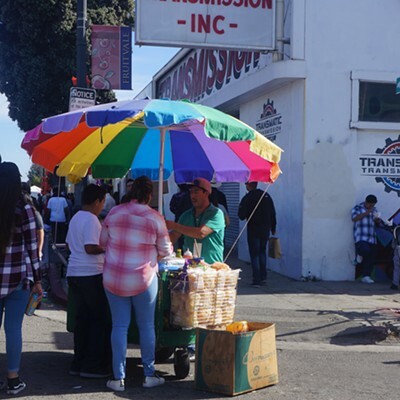 On one corner, you'll find the paletero quickly grabbing people's attention as he rings the bell attached to his popsicle cart (especially on a hot summer day). Walk a block, and you will find another vendor selling fresh fruit, and those mouthwatering chicharrones con salsa. And besides all of the food vendors, bustling on the day of the festival, there are countless restaurants to choose from — all equally as hectic as the vendors, but so worth it. How can you choose between a torta from La Torta Loca or some tacos from Taqueria 16 de Septiembre? As I walked through Fruitvale Village admiring the altars and taking photos, my mind wandered off, and all I wanted was a churro filled with caramel. 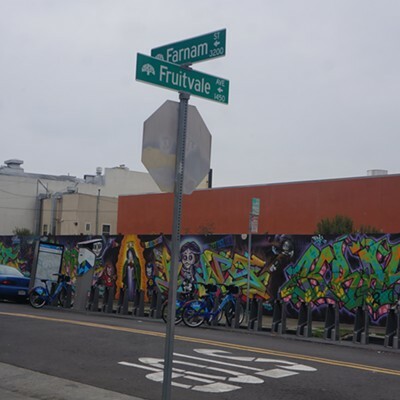 The Town has many vibrant neighborhoods and commercial districts, but Fruitvale, in many ways, is quintessentially Oakland. It's diverse, welcoming, family-oriented, community-minded — and too often overlooked. It's long been a place that immigrants, many of whom arrive with nothing and have nowhere else to go, have found a new home and thrived. And everything you might want or need is here. Camping gear? Bonanza's got it. Craving ceviche? Next door is La Costa to satiate your octopus craving. Need new tires, or perhaps a smog check? Drop off your car at Lopez Tires and Services, and while they work on your vehicle, walk over to Guadalajara and grab a burrito. If you need a caffeine fix instead, walk past the restaurant and you'll find yourself at Red Bay Coffee. The endless options do not end on International Boulevard or San Leandro Street. 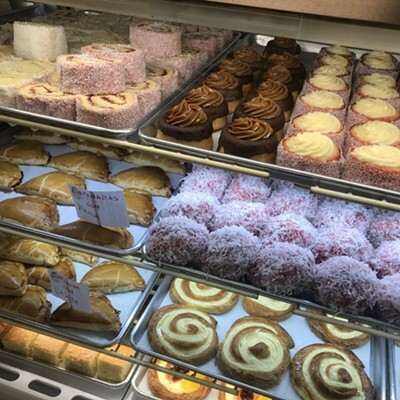 Want to try out Mexican pastries? Stop by Peña's Bakery on 34th Avenue and Foothill Boulevard. If you need to buy groceries, cross the street and step into Mi Ranchito Market. Need toiletries? Check out the Walgreens at the corner of Coolidge Avenue and Foothill — a favorite chain among the residents of the neighborhood. 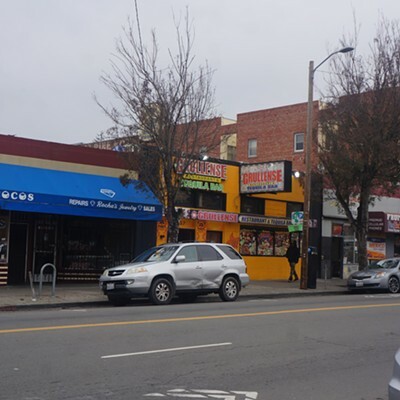 If you need your shoes repaired, drive or walk over to Fruitvale Shoe Repair, located on Fruitvale Avenue, less than a block from International. 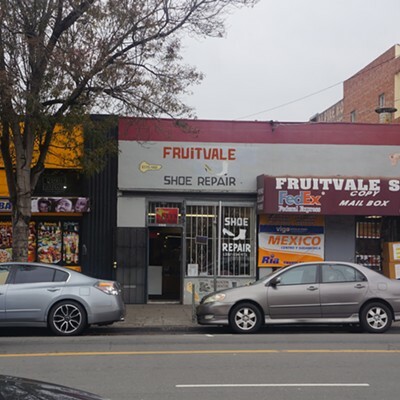 Like many of the 390 businesses in the neighborhood, Fruitvale Shoe Repair is owned and operated by a Salvadoran family. Head up closer to I-580, and you can get your taxes done by Jose Dorado at Dorado Tax and Bookkeeping Service. Drop off your paperwork and walk over to Galeria Beso Maya, the only gallery in Fruitvale, run by owner and founder, Yadira Cazares. 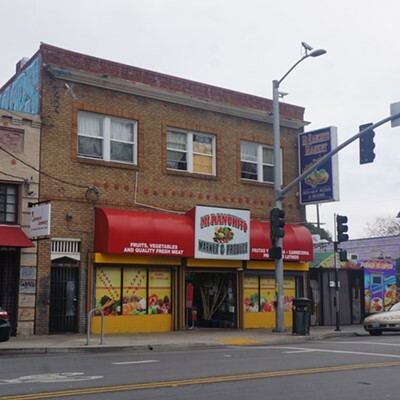 Although Fruitvale, like much of Oakland, continues to face intense gentrification pressures, the neighborhood's powerful sense of community is held together by the hundreds of small businesses there — some of which have been rooted in the district for over half a century. The Oakland venue is celebrating with several big-name shows, and it’s still committed to helping local acts. The downtown bar is one of newer additions to Oakland’s nightlife scene, has a friendly vibe and is unpretentious.